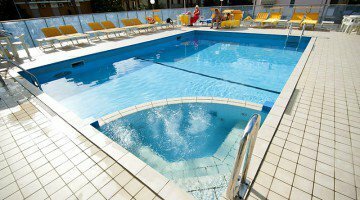 The Hotel Giunchi , 3 stars of Pinarella di Cervia, is directly managed by the owners and offers guests an elevated swimming pool with hydromassage, ideal for adults and children, air conditioning, WI-FI throughout the building and internal parking. Accept small animals. The hotel is located in Pinarella, a small hamlet south of Cervia. The beach is nearby and can be reached by crossing the pine grove that runs along the beach. The area is well connected by public transport and not far from the historic center of Cervia. All rooms have a balcony, bathroom with shower and hairdryer, telephone, safe, beds with nets and orthopedic mattresses, minibar, air conditioning, satellite TV and WI-FI connection. Garden, raised swimming pool, Jacuzzi, solarium area equipped with sun beds and beach umbrella, free bicycles, lift, living room with bar and TV area, air-conditioned restaurant, breakfast room. On a weekly basis it organizes evenings with entertainment and traditional dinners. PARKING: 15 covered parking spaces and uncovered places available for all customers free of charge. BREAKFAST: buffet in a special room with sweet and savory dishes. LUNCH AND DINNER: kitchen of great quality where there are the typical and national dishes but also international, diet and vegetarian, with 3 or more buffet menus accompanied by vegetables and side dishes. Pasta and desserts are strictly homemade. Drinks (water, wine, coca-cola and fanta) are included with meals. OTHER: every week there will be a Romagna dinner with typical local products and a dancing evening with entertainment. In hotel: playground in the garden, live entertainment one evening a week. The hotel has an elevated swimming pool: ideal for both adults and children, it is completed by a hydromassage area and surrounded by a solarium area equipped with sunbeds and beach umbrella. 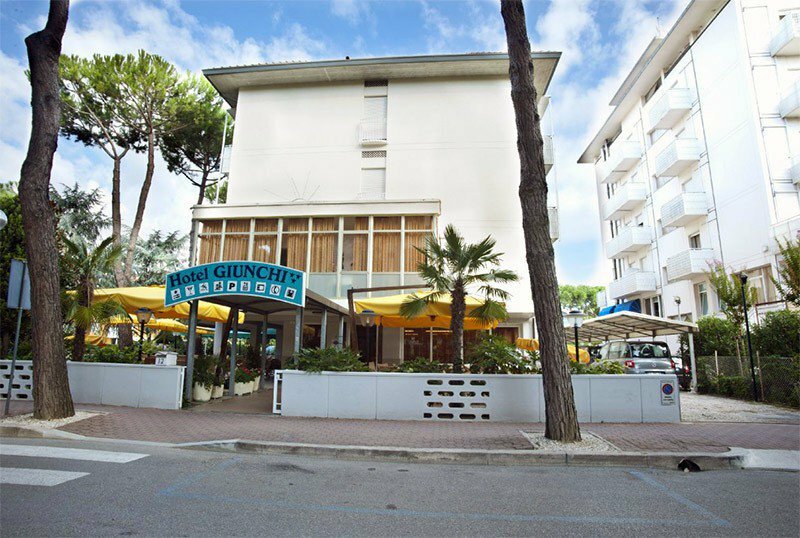 The hotel has an agreement with the Bagno Stella di Pinarella bathing establishment (n.77-78); beach particularly suitable for families with children, equipped with free hot showers, ample space between one umbrella and another, sunbeds and cabins closed. There are also safety deposit boxes (available free of charge) and games and inflatable stores. The beach is equipped with beach tennis and basketball courts, beach tennis, bocce courts, ping-pong tables and table football. List prices are per person per day for a min. 3 days in Full Board.